Independent contractors, or abandoned workers? In an on-demand world, taking on permanent workers has become a no-no for cutting-edge companies. So much so that, when Harvard Business School graduates Marcela Sapone and Jess Beck went looking for funding for their startup, their plan to hire full-fledged employees instead of independent contractors met with befuddlement. Their year-old company, Hello Alfred, is basically Uber for butlers. Its “home managers” — known as Alfreds, after the manservant in “Batman” — go into clients’ homes and make sure the chores get done. To win customers’ confidence, and for its own comfort, the company needed reliable Alfreds whom it vetted, trained, and carefully oversaw. For that, it needed real employees. The bigger issue — for companies, for workers, and for consumers who care about workers’ well-being — is that there’s too much riding on the distinction between contractors and employees. The rise of the sharing economy has drawn new attention to the problem, but it’s been simmering in corporate America for years. A full-fledged job offers more than a regular paycheck. It’s subject to wage-and-hour protections, and it often comes with a suite of vital benefits: health coverage, unemployment insurance, retirement plans, and more. Yet it’s a little insane that the safety net in the United States relies so heavily on the largess of private employers. Perverse incentives abound: By subjecting traditional employment to significant administrative and cost burdens, while imposing very few on the use of independent contractors, federal tax and labor laws have all but guaranteed a shift away from full-fledged jobs and toward gig-by-gig arrangements. An interview with the labor lawyer who’s suing Uber. One survey last year indicated that about 27 million Americans were working as independent contractors or temps; 24 million more derived their income from a mix of traditional and freelance work. Obamacare, at least, improves access to basic health insurance for workers without standard jobs. But otherwise, all the risk in an uncertain economy is on those workers, and neither the legal framework nor the political dialogue is adapting fast enough. Proposals for an intermediate category of worker — a hybrid of employee and contractor — have gained little traction. The Labor Department discontinued a periodic study of contingent workers, and Politico reported Thursday that Senator Mark Warner, a centrist Democrat from Virginia, has tried and so far failed to get money to resume it. There’s no organized constituency for subtle workforce reforms. By and large, Republicans are suspicious of new forms of regulation. On the left, labor advocates prefer to see tougher enforcement of existing laws. The advocates’ efforts are finding some success. Boston labor lawyer Shannon Liss-Riordan is suing Uber in California to get its drivers there recognized as employees. (Her case advanced Tuesday when a federal judge recognized it as a class action.) Over the years, Liss-Riordan has seen plenty of ways in which companies blithely shortchange their workers. 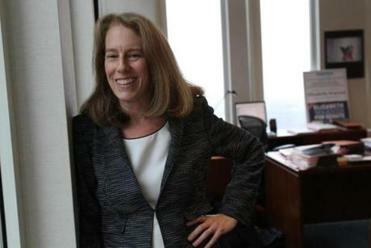 She’s the lawyer who sued airlines and chain coffee shops over policies that cheat low-level employees out of tips. When we chatted in her office late last month, she visibly winced at the suggestion that labor laws need updating for the sake of the sharing economy. “I don’t see why we should be rewriting our laws,” she said, “to allow these big companies to come in, raise all this venture capital financing — billions of dollars — [and] make incredibly huge profits for their founders and financial backers.” And if you work for Uber or TaskRabbit or similar firms for 20 to 30 hours every week, it starts to look like a traditional job. Then again, when you sign on to a software platform rather than applying for a specific position, when you have no assigned shifts, and when you self-select to work only when an electronic algorithm hikes rates at peak hours, you’re in a situation that New Deal-era labor laws never contemplated. Meanwhile, some of the features of standard employment arrangements — regular scheduling, direct supervision by a human — could hamper the flexibility that draws users and workers alike to sharing-economy services. None of this would matter as much if people without traditional jobs enjoyed greater protections. San Francisco author Steven Hill’s forthcoming book is a red-faced, steam-out-the-ears indictment of sharing apps — as you might guess from its title, “Raw Deal: How the ‘Uber Economy’ and Runaway Capitalism Are Screwing American Workers.” Yet Hill offers a pragmatic, almost post-ideological solution: “individual security accounts” for workers. Companies that use independent contractors, or offer scant benefits for employees, would have to add on a certain percentage of their pay as a contribution to those accounts, which would cover health care, unemployment insurance, and more. There’d be a mechanism — and a requirement — for companies to contribute to the long-term well-being even of workers who aren’t on their traditional payrolls. “We have to start thinking of a way of creating more of these universal bottom lines which no worker, no matter their classification, sinks beneath,” Hill said. When Sapone and Beck were testing out their business idea in Boston, their Alfreds were independent contractors; retention rates improved by 40 percent when the company started hiring employees. In the Hollywood ending to this saga, the example of companies like Hello Alfred — coupled with the threat of litigation like Liss-Riordan’s — would reverse the shift toward a contingent workforce. But if that doesn’t happen, what then? In the end, access to stability and security shouldn’t hang on having a job as defined in 20th-century terms. Dante Ramos can be reached at dante.ramos@globe.com. Follow him on Twitter @danteramos.